A nimble, sporty platform with modern performance technology inspires a new generation of Indian Scout riders. BALANCED WITH LOW C.O.G. : The Indian Scout is well balanced and has a low center of gravity for easy, fluid handling at all speeds. Its outstanding lean angle inspires confidence by allowing riders to capably execute high-speed cornering. 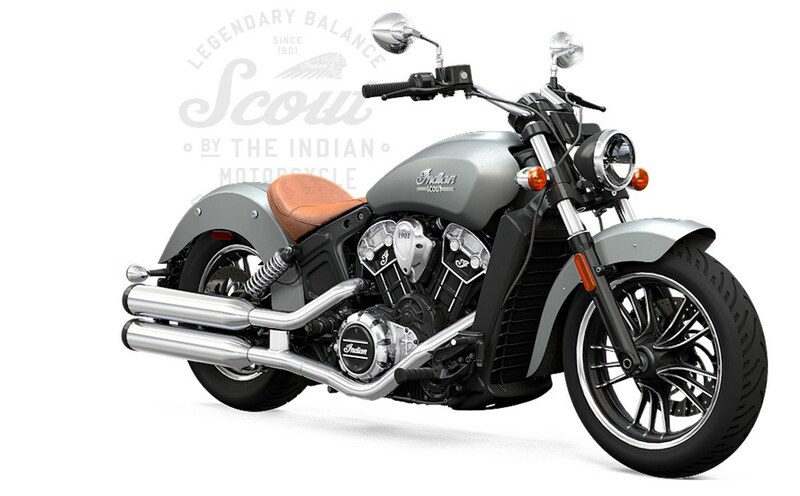 LIGHTWEIGHT CHASSIS: With its lightweight chassis, the Indian Scout delivers sporty, responsive handling. The engine is solid-mounted in the frame to provide strength & to ensure smooth, predictable handling at speed. 69 CU IN SCOUT ENGINE: his V-Twin features: innovative styling with unique exterior detail, a soul-stirring exhaust note & tremendous throttle response to ignite a rider’s passion for the ride. Reliable, efficient liquid cooling ensures outstanding performance in all conditions. MODERN DRIVELINE TECHNOLOGY: Modern technology that ensures a consistently outstanding ride experience includes: Efficient & reliable electronic fuel injection; engine counter-balancing for smooth operation; a 6-speed transmission; & efficient, reliable liquid cooling. SOLO LEATHER SEAT: Styles using design cues from the original seat, this solo seat provides a rider with the ideal mix of cushion & support. It is covered in premium Desert Tan leather that can withstand the elements. Front - Cast 16" x 3.5"